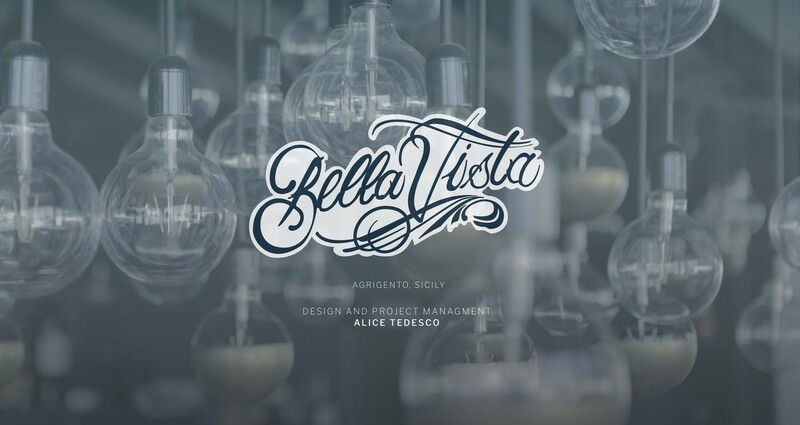 BellaVista is a 100% Sicilian Handmade Restaurant designed by Alice Tedesco. 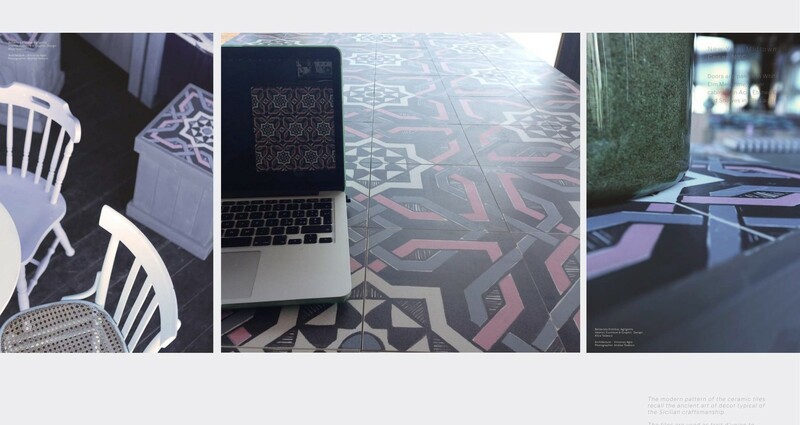 Bellavista was born to create a quality alternative in the area, quality that the designer envisioned through her unique footprint and realized thanks to the local craftsmanship force. From furnishings to lighting, through fabrics, the Bellavista has been made by a team of highly skilled and timely local craftsmen who follow the designer’s direction. 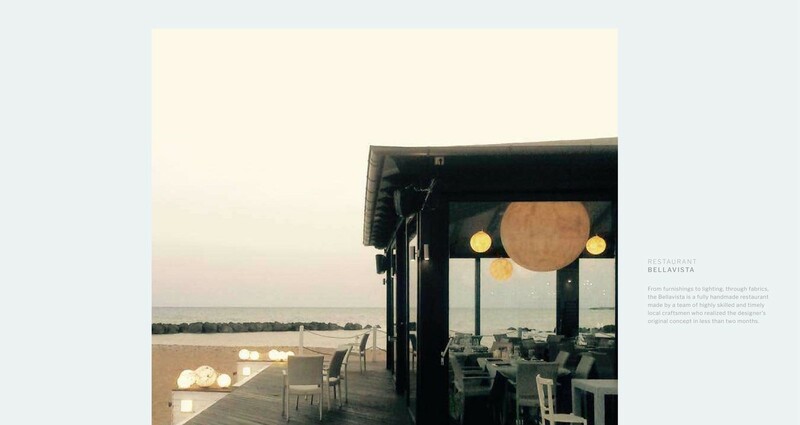 Colors and lights have been selected according with the context in which the Bellavista is located: on a large beach, surrounded by the Mediterranean Sea separated only by glass walls and a wooden walk. All colors, in fact, follow the shades of the sea according with its seasonal changes, light and blended in the background. Particular emphasis on the wood’s, main material for the whole project. 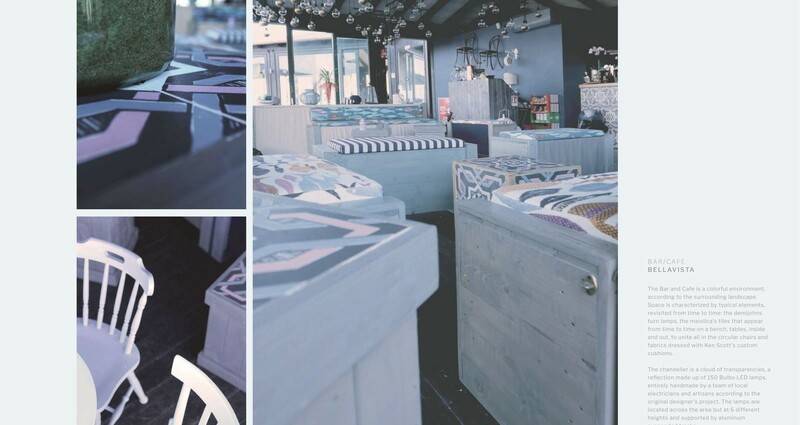 Bellavista uses two separate languages ​​for the Aperitif Cafe and the Restaurant rooms, the design pays particular attention to the service and connect it with technological innovation and reuse / recycling of materials. Directly exposed on the shore, presents a minimal layout: lighting, tables and counter. 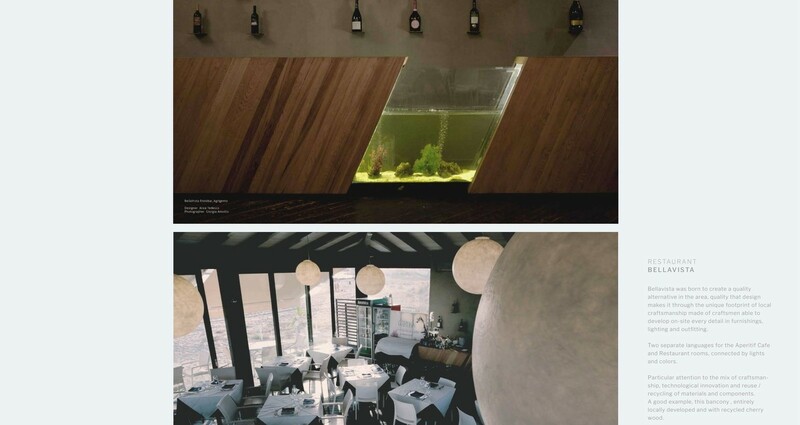 The restaurant counter is in solid chestnut, with an integrated fish-tank. The chestnut was recovered during the construction site, as for the wall in mortar that is the background and supports the display of bottles with iron plates. 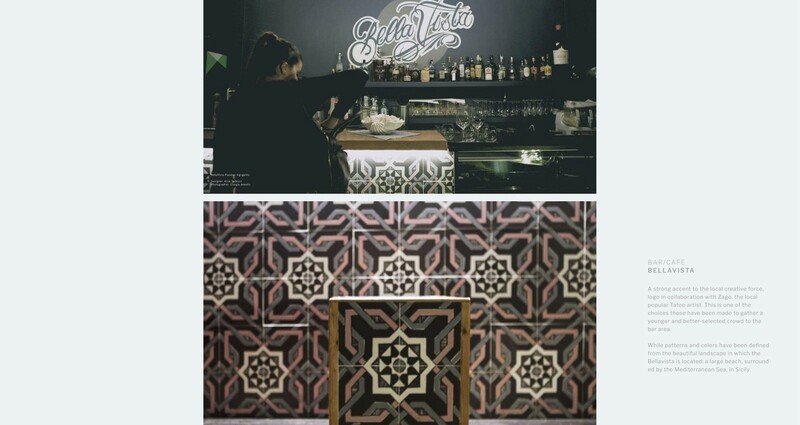 The Aperitif Cafe is a colorful environment, where space is characterized by typical Sicilian elements, revisited through the designer’s vision: the damigians turn the lamps, the tiles that appear from time to time on a bench, tables, inside and out, to unite all in the circular chairs and fabrics of Ken Scott. The two rooms start to communicate only at dusk when the colors turn off and turn on are two large lighting installations, respectively: the 5 moons of In-Es Art Design, 120 to 30 cm in diameter, and the chandelier of the Cafe made up of 150 LED Bulb Lights, positioned on six different heights. The optical effect of the reflections has been deliberately studied to enhance the user experience, which remains shielded from the outside thanks to the game of lights. 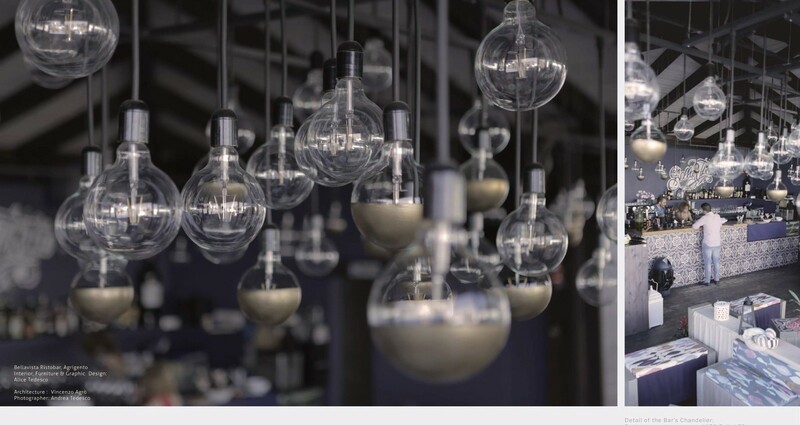 The ceiling of the Cafe Peritif is a cloud of transparencies and reflections made up of 150 Bulbo LED lamps, entirely made by a team of local electricians and artisans according to the approved design. The lamps are located across the area on six different heights (250-350 max), supported by the balanced design of the aluminum rails. When it lights up the room has the idea of ​​being in heaven once, even thanks to the twisted effect of the 150 light points. 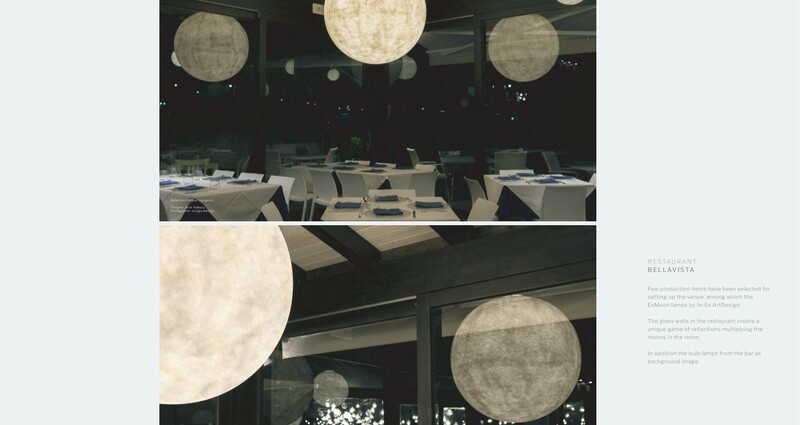 There are only few production elements used for setting up the venue, among which many are vintage or reconditioning furnishings, such as the original Tonet 7 couple who welcomes those who enter the Cafe; or In-Es ArtDesign EXMOON lamps in the restaurant, while the 14oraitaliana Catteries make indoor / outdoor trade-union. Some bubbles mark the step outside of the structure, which is illuminated with some of the integrated lighting fixtures such as the Sframe integrated coffee table winner of the A’ Design Award 2017 in Lighting Products.